Living Sq. Ft. : 2484 s.f. Total Sq. Ft. : 3244 s.f. 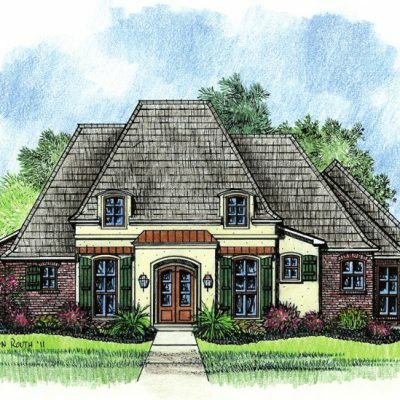 The Ralston Country French garden style zero lot house plan has four bedrooms and a charming rear porch and upper balcony that over looks the back of your lot. 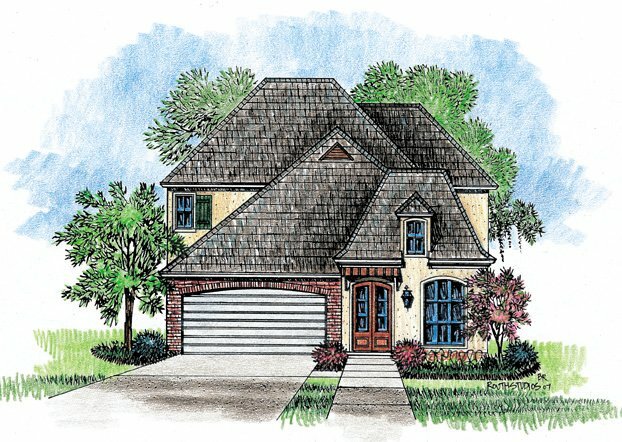 You will find this house plan features a front facing garage for easy coming and going with your vehicles. 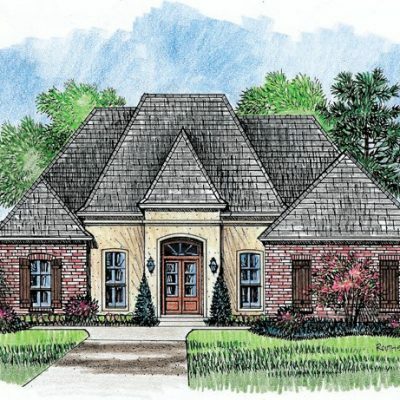 On the main floor, you will discover the kitchen, family room, utility room, formal dining, and master bedroom. 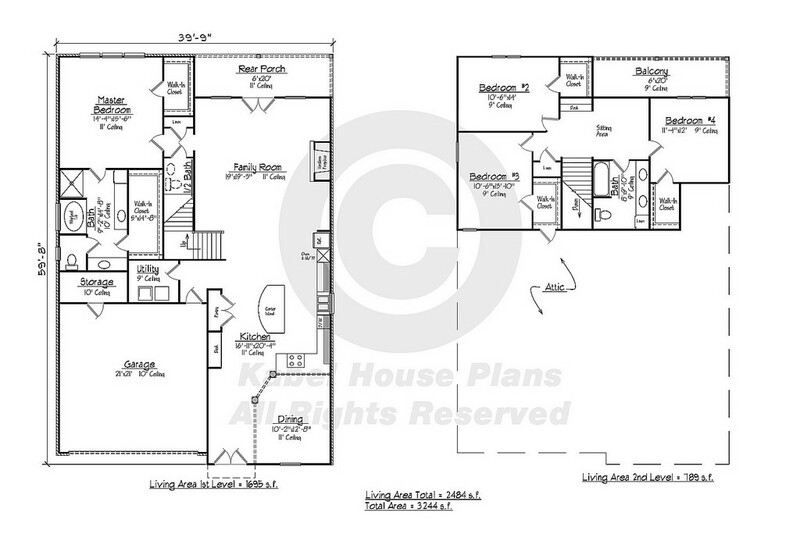 The kitchen has a curved island for a bit of flair and is open to the family room. 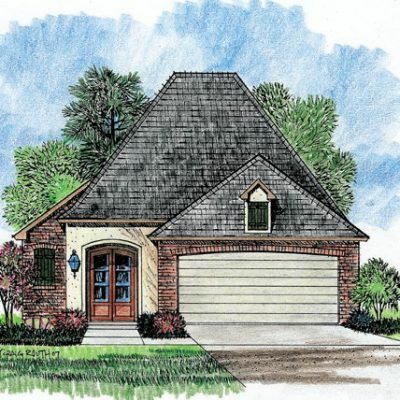 In the family room you will find a fireplace and access to the rear porch. 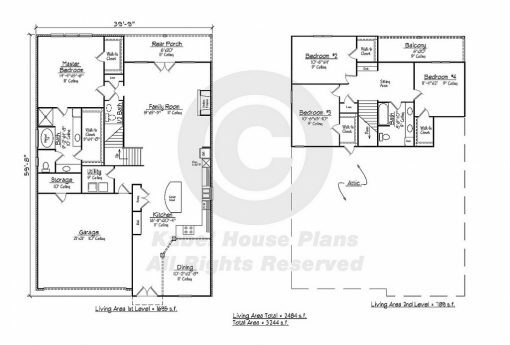 Through the family room, you head to the master where you find two walk-in closets and a bath with his and her vanities. Upstairs, you will find the other three bedrooms all with walk-in closets and a common sitting area at the top of the stairs. 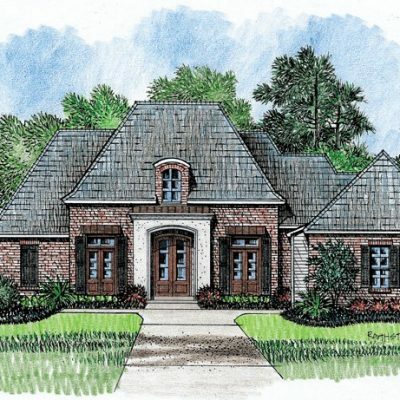 Plenty of charm in this Country French zero lot house plan.